The scented white lilies in this bouquet represent innocence and purity. 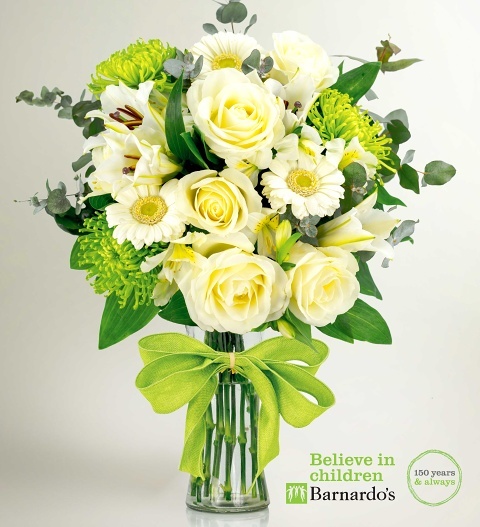 They are beautifully complimented by avalanche roses and carefully selected green blooms to represent the core sentiments at Barnardo&apos;s.
This is the perfect choice of flowers for those looking to offer support or comfort to a loved one. Our Believe bouquet is available for next day delivery and 25% of the total order value will be donated to the Children&apos;s Charity Barnardo&apos;s.